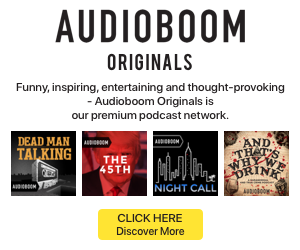 Podtrac has released its podcast publisher rankings for December, the second month of stats with its verification program. All ten publishers on the ranker stayed the same from the previous month, with only shifts in the order. 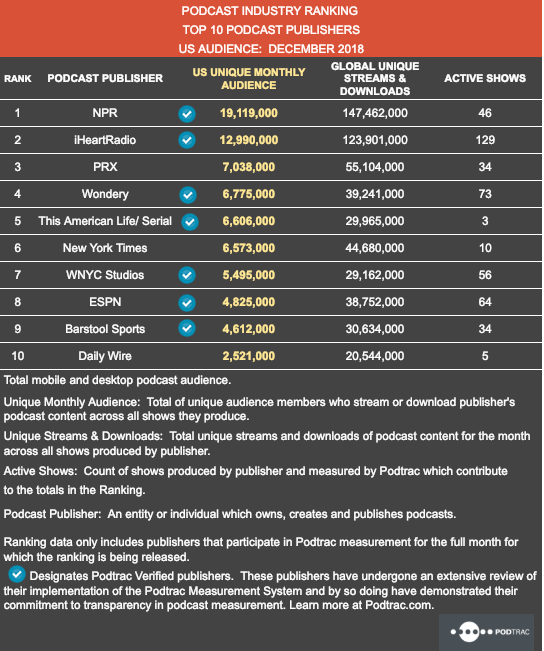 As with so many months, NPR remains the top dog in podcast publishing, pulling further ahead with a 3% gain in unique U.S. monthly audience from November. Barstool Sports was the only other publisher to post an increase in monthly uniques, which grew 32% from the previous month. Total global downloads for the top ten dipped 10% from November to December. Year-over-year, though, the global downloads for December rose 56%.